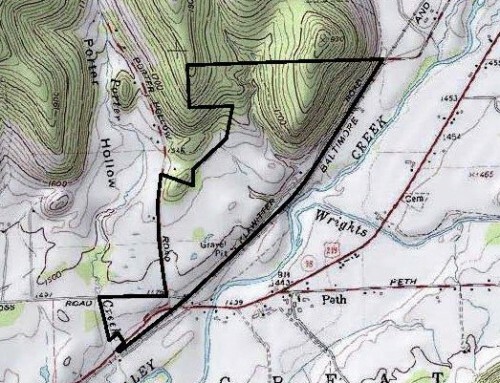 This property is located on the NY side of the state border w/Pennsylvania in the Town of Alma in Allegany Co. The property offers an abundance of hunting and recreational opportunities. The property is located close to Dutton Hollow, Honeoye Creek and Alma pond that provides excellent year-round fishing. Alma pond is also a great location for waterfowl hunting.